Man, we missed This Week In Town, but here let me make it up with some delicious desserts for the Fall season! These will be pretty satisfactory to sate any appetite with a sweet tooth. Here’s a simple dish to start this off! 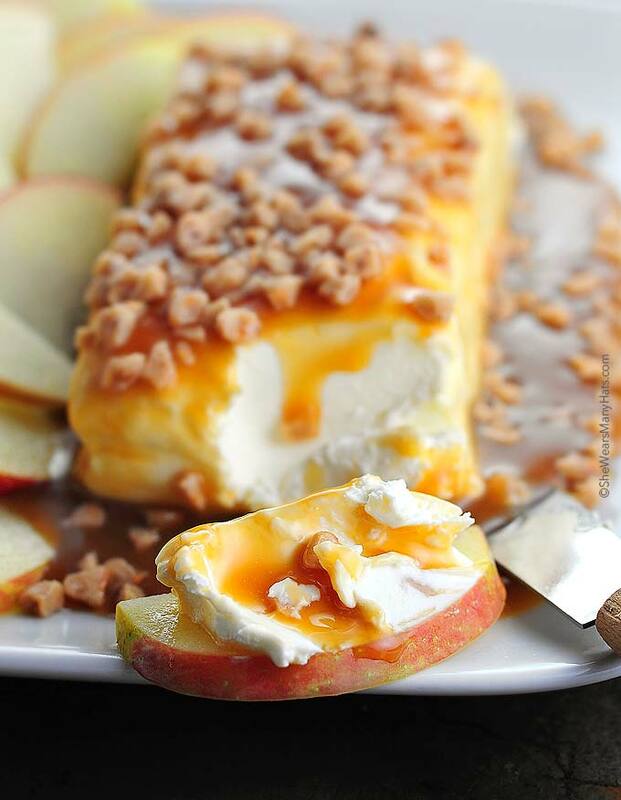 A Caramel Apple Cream Cheese Spread is portable, it doesn’t need to be heated up, and it contains fresh fruit! This seems like a great addition to any outing or an early snack prior to dinner being served! What I enjoy about this dish is its simplicity that looks like it will pay off enormously. In fact, I really want to pick some up soon and make it! Could you imagine how Curtis Orchard apples would taste with this recipe? Perhaps even some of their homemade caramel, yum! This Pumpkin Spice Krispie Treats reminds you of both childhood and Fall! Imagine the sweet stickiness with an extra kick of cinnamon and pumpkin. Make them for fresh and warm cuddle seshes or make them for road trip purposes, whatever the reason this is a fairly simple treat to satisfy that specific craving that we all get occasionally! Besides that, there’s some amazing color right there on this rice Krispies, they look even more natural and delicious. Look at this beaut of an idea, the healthy crispy treat that we dream of but is always too expensive to buy! These apple crisps are done in your oven, that’s the recipe really. Another perfect excuse to run off to Curtis Orchard to buy fresh apples! These are preserved for a very long time as well so take them camping, road tripping, or find a way to stock them for your underground bunker (I know you have one). Enjoy these anytime, any season snacks! 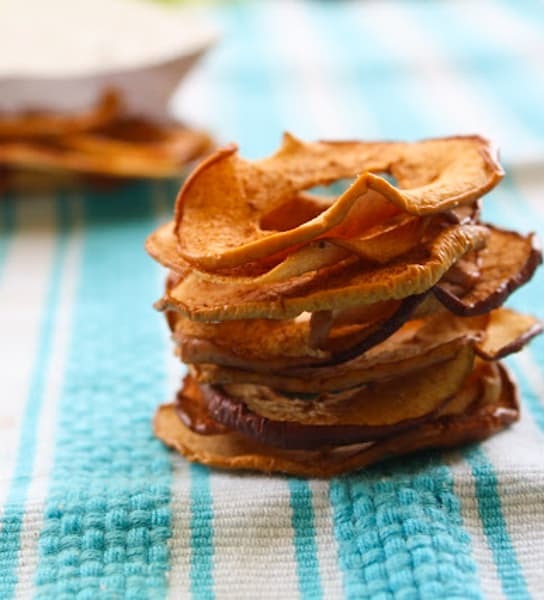 “If I had a list of “snacks I’m not sorry I fell in love with” these Warm Cinnamon Apple Chips would be on it. Definitely near the top. Here we go with a more difficult dish, and one that sounds absolutely amazing (it looks amazing too). 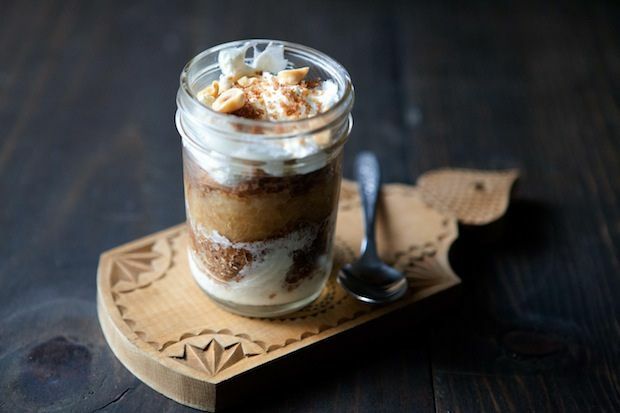 This is an Applesauce Parfait with Cinnamon Breadcrumbs, did your mouth start watering as much as mine did? I’m a bit at awe of the way this dish looks and sounds. All these different flavors in all of these dishes and this one sounds creamy with a kick of spice to take you to a tasteful evening and a great Netflix binge watch! We have a lot of creamy dishes here, so let me show you one dish that isn’t so creamy but sounds heavenly, which is this Cranberry Apple Upside-Down Cake! Beyond the imagination of tart with sweet, with a little bit of a kick of crispiness and cinnamon, this looks like a work of art with the golden colors moving into a gradient with the red cranberries. The way the apple slices spread outwards also give this drawing sensation into the dish, and I, for one, can barely hold back from running to the store to make it now. Unfortunately, I have work, so maybe this weekend I will take a moment to cook this delicious dessert. “What you may not know is that nearly any fruit can be apart of this upside-down cake business. I’ve done it with sliced fresh peaches + raspberries, sliced pears, and I’ve done it with apples before too. Pineapple may be my favorite upside-down cake variety, but I’m mad about apple upside-down cake this time of year.